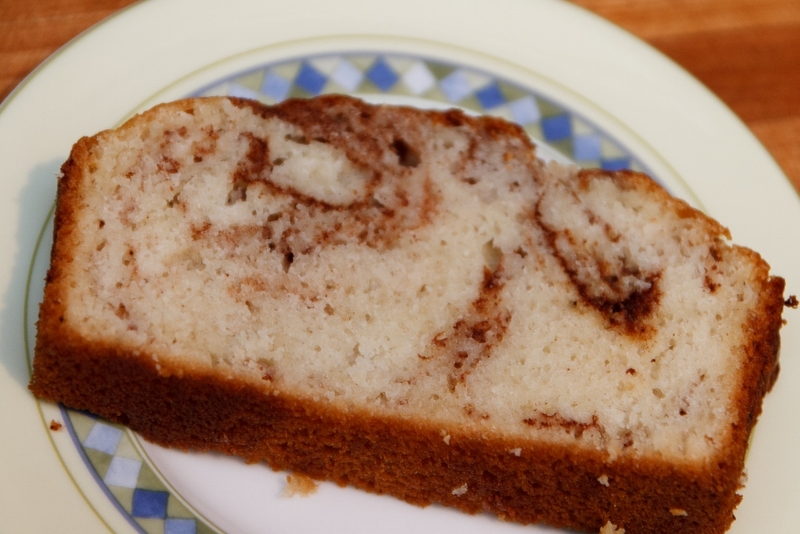 Another one of my favourite childhood recipes was mom's cinnamon bread. I have vivid recollections from my youth of inviting friends over to make this recipe when my mom wasn't home... she couldn't stand the mess we would make!! I decided to post this today as we are just back from Amman and Noorin's beautiful wedding and this was one of Amman's favourites. 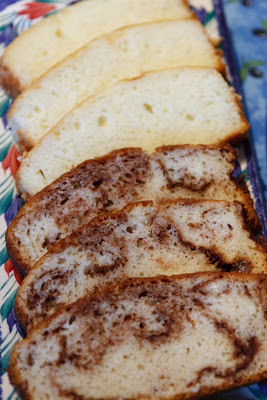 When I lived with Amman in undergrad, I would frequently make this recipe, only to come home 5 hours later to crumbs and vivid insistence that I hadn't baked anything earlier in the day! 1. Mix together the wet ingredients and then mix in the dry ingredients of the bread batter. 2. 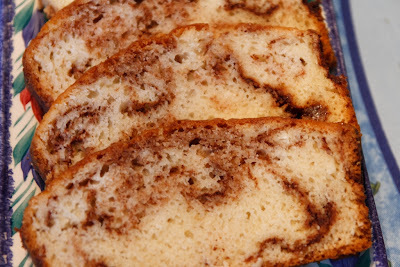 Alternate layers of bread batter and cinnamon sugar in a bread pan, finishing with bread batter. Cut a knife through the batter a few times, which will create swirls of cinnamon sugar in the baked bread. Bake at 350°F for one hour. Note: You can make sour milk by stirring a bit of sour milk (approx. 1 tsp.) of lemon juice into a cup of milk and letting it stand for approximately 5 minutes. Mmmmm... also one of my childhood faves! You've inspired me to make it.. I don't think I've ever shared the joy with Eric! Ash, sometimes as a special treat, I double the cinnamon-sugar amount. You just have to be sure to spread it out evenly throughout the recipe, otherwise the bread may fall apart when cutting it if there's not enough dough to hold it together. scotty is making this for himself tonight, I cant wait for leftovers!